The Church of St. Mary the Virgin in the village of Thame, Oxfordshire, is a large parish church built in the 13th century. It has a number of interesting features, including a wall painting, many tombs and monuments, and several gargoyles and corbels. Thame is included among England's Thousand Best Churches by Simon Jenkins, who gives it two stars for its medieval choir stalls and Williams tomb. 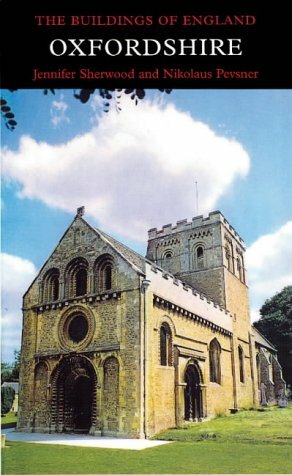 Thame Parish Church was built c.1220-60 in the Norman (Romanesque) style. Its aisles were widened in the 14th century; the tower was heightened and the transepts remodeled in the 15th century. A rather heavy-handed restoration was carried out by J.O. Scott in 1889-97. The central tower dates from the early 13th century; the two upper stages were added in the 15th century. To support the increased weight, piers were built round with ashlar but the 13th-century triple-chamfered tower arches were unaltered. There are some gargoyles and other characters of various ages to be discovered on the exterior, particularly on the north side of the nave. The interior of Thame Church is airy, light and spacious. The nave arcades (c.1260) are finely proportioned, with five bays of quatrefoil piers and double-chamfered arches. The fine timber roof has carved stone angels, one of whom plays a mandolin. The clerestory is from the 14th or early 15th century; the brass chandelier is 17th-century. The west window (c.1672) is inscribed with the names of the churchwardens. It is in a Perpendicular Gothic style with uncusped panel tracery and crenellated transoms. The two side aisles are Decorated Gothic and date from the expansion in the early 1300s. The windows have flowing tracery and the doorways feature wave and hollow moldings. The west window of the north aisle is from 1923 by Morris and Co. The font, in the north aisle, is made of fragments: a re-cut 13th-century octagonal bowl with band of leaf decoration, 12th-century cable molding on the base, and a 17th-century wooden cover with strapwork cresting and ball finial. The Decorated south porch (early 1300s) is two stories with a canopied image niche containing a modern statue of the Virgin and two trefoiled lancets over the entrance. The side walls have two-light windows with flowing tracery and the ceiling is a quadripartite vault of two bays. The tower crossing and transepts are early 13th century. The southeast pier of the tower has a Pietà wall painting of c.1500, of which only the face of Mary and a canopy above remain distinguishable. The north transept was reconstructed in 1442; the north and east windows of five lights with panel tracery are from this date. A lancet window in the west wall survives from the early 13th century. The south transept was also remodeled in 1442, with windows similar to those of the north transept and an east extension to form a shallow chapel, which has a 15th-century piscina. Set upright in the south wall is a rather ghastly looking 13th-century effigy of a priest. The plain octagonal pulpit and sounding-board are c.1700. The chancel dates from c.1220. The fine choir stalls, with linenfold panelling and poppy-heads, are early 16th century. They were brought here from Thame Abbey at the Dissolution. Other fine woodwork in the chancel can be seen in antique benches, chests and chairs. The chancel screen is also early 16th century, featuring round arches with traceried heads, shafts carved with diaper and lozenge decoration, and two tiers of linenfold panelling below. The east window (c.1280) has five lights with geometrical tracery, with a circle at the top inserted in 1889. The glass is from 1918 by F. Howard. The north wall of the chancel has a priest's doorway and four of the original six lancet windows. The westernmost lancet is blocked and the next one east was destroyed in the mid-1200s to be replaced by a three-light window with plate tracery. The south wall of the chancel has three Decorated windows with reticulated tracery and a Decorated double piscina in a recess with a shouldered arch. The glass in two of the windows is 1861 and 1875 by Clayton and Bell. In the center of the chancel is a very fine monument to Lord Williams (d.1559), Thame's leading citizen and benefactor, and his wife Elizabeth. The tomb-chest is made of black and white marble in a Flemish style, featuring angle pilasters with Renaissance arabesques. The effigies of the couple are carved from alabaster with great skill. Lord Williams wears a cloak over his armor with a chainmail codpiece; his wife wears a cloak over a chemise. Their feet rest on a greyhound and a unicorn. The Williams Monument was damaged in the Civil War and repaired in the 17th century by William Bird of Oxford, who carved a new unicorn, greyhound and other stonework. The strapwork panels probably also date from this restoration. Other churches in Thame include a Congregational Chapel (1871), Methodist Chapel (1876) and Baptist Chapel (1865). Personal visit (September 29, 2007). Nikolaus Pevsner and Jennifer Sherwood, The Buildings of England: Oxfordshire (Yale University Press, 2002), 806-07. Simon Jenkins, England's Thousand Best Churches, 551-52.